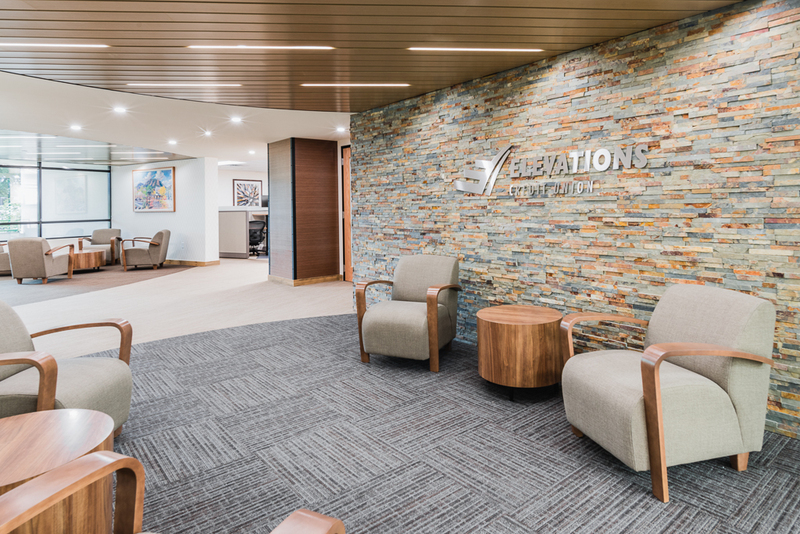 The new headquarters for Elevations Credit Union is now on the second floor of the Diagonal branch of the 130,000-member financial organization. Courtesy Kyla Chambers for Elevations. BOULDER — Elevations Credit Union has opened a new mortgage loan office in Broomfield and moved the company headquarters to the credit union’s Diagonal branch at 2960 Diagonal Highway in Boulder. The mortgage office is on the first floor at 1 Environmental Way in Broomfield. The location provides additional space for lending officers and closer access to the Denver metro market. Elevations is the largest credit union mortgage lender in Colorado. The new headquarters at the Diagonal Branch, located on the second floor of Elevations’ largest branch, will provide space for leadership staff, board meetings and community events. Elevations now has more than 130,000 members and more than $2 billion in assets.